We started off the day by going to the lovely and charming Obecny Urad of Bernolakovo, which is like the local county clerk's office or something along those lines. This is where we do two things: establish Terezia's current, permanent residency, and register our marriage. We went here back in early October and I remember how a pungent death-cloud of body odor permeated the building's small reception area in the early autumn heat. Of course now that it's cold and everyone's bundled up, the stench is gone. Anyway, we submitted our paperwork to the woman who works there, and she was really frantic for some reason. She was initially skeptical that she could help us given our tight timeline, but after talking to her for a bit, she eventually calmed down and said she would get the ball rolling as quickly as she could. The main problem is that it apparently takes three whole months (!!!) to register a marriage in Slovakia, and we kind of need to have our marriage registered by December so that I can get my residency visa and won't have to go back to the US. We're hoping that Slovakia's Foreign Police will accept some kind of documentation that says the registration is in process. I guess we'll see! 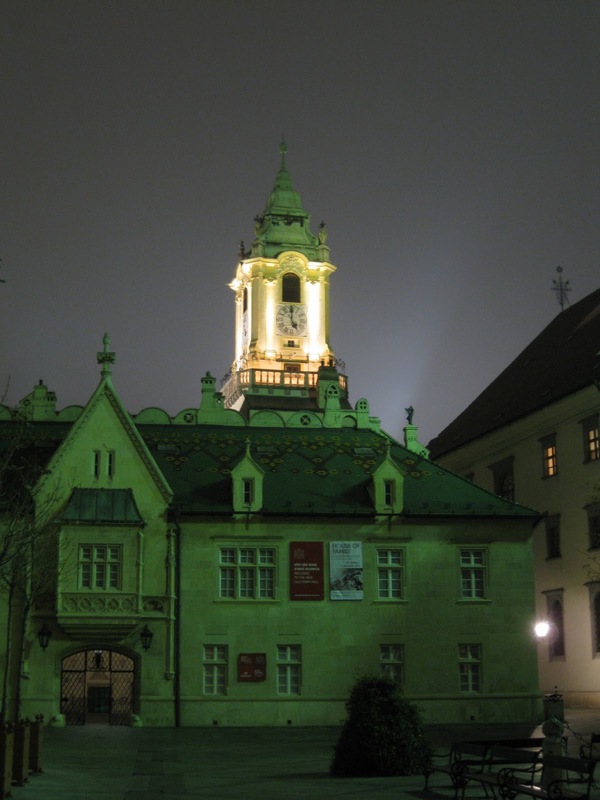 Next, we went to Bratislava to the Register Trestov, which is where I submitted my paperwork last week to have my Slovak criminal background check done. I was quite relieved to discover that I have no criminal history to speak of in Slovakia! One more thing to check off the list! Later, we checked out a few apartments, all of which were a huge improvement (in all ways imaginable) to the first place we saw last week. (We did visit a second apartment last week, which was decent, but not as close to the center as we'd like). At any rate, the first building was located right in the middle of the lively Obchodna street at the northern end of the historical center. There were actually two apartments available in the building, both of which were one-bedroom (or two room, in Slovak real-estate lingo). The building was older, the apartments had nice, large, old-fashioned windows, and Obchodna is a cool location as far as being central and in an area where there's a lot going on. One apartment was on the bottom floor, which had a nicely updated kitchen and bathroom. The other was on the third floor, and while its kitchen and bathroom weren't as nice visually, the views from the windows, overlooking the rooftops of cool historical buildings, were much nicer. Definitely a contender. 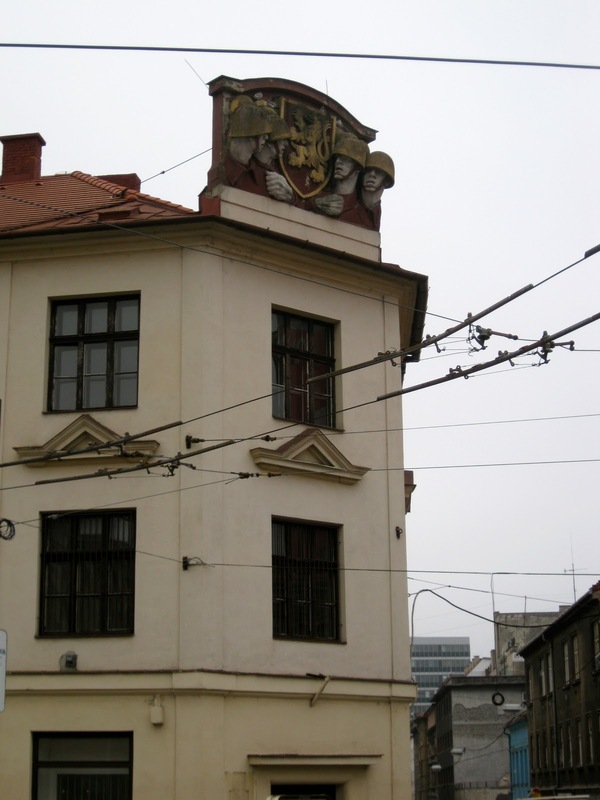 The third apartment was a bit closer to the Bratislava castle, located in a beautiful older building on a quiet, picturesque street called Konventna, which is lined with other beautiful older buildings. The apartment, located in the rear of the building, had nice large windows overlooking an enclosed garden area. The kitchen was quite spacious, while the rest of the apartment contained pretty much what we're looking for. Not bad, but we have a few more places to check out. With each apartment, we're getting closer to what it is that we're visualizing. Oh, and we also bought health insurance for me, which is another requirement for my residency visa. I have to show them that I have insurance for at least three months. It's much cheaper than buying similar health coverage in the US, which is no surprise. 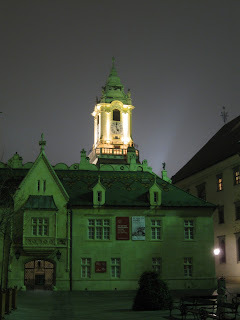 Click here to see more photos of Bratislava!